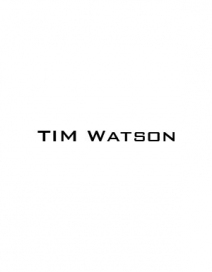 studio tim.works began in 1999 as a logical extension of the design activities of Tim Watson, a central group to a network of collaborators capable of operating in all major centres of the world. timwatson born in 1960 in london transferred his base to Milan in 1991 where he has collaborated with many of the major fashion houses to realise projects in every continent. working closely with each client tim.works aims towards the identification of creative solutions to the project, in a synthesis of the commercial, functional and stylistic requirements. in recent years tim has concentrated increasingly on illustration, initially as the logical extension to his design and architectural projects, visualising that that does not yet exist. this has led to working in publishing and general illustration, visualising that which cannot be photographed.